Recent strategic negotiations have now been concluded between Tourism Minister the Hon. 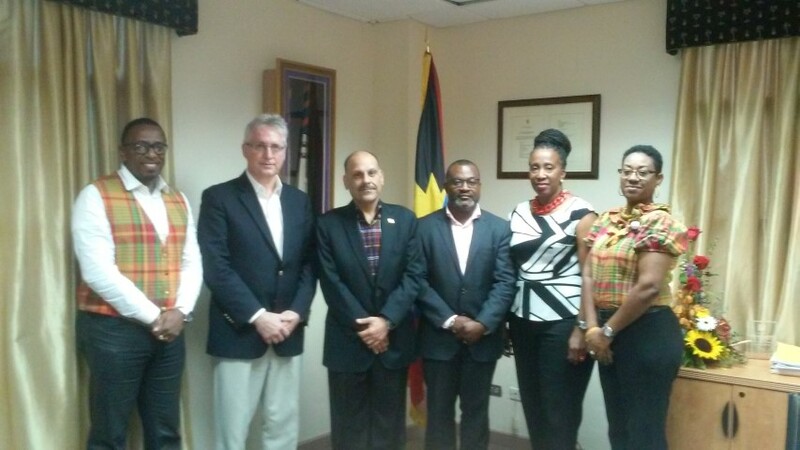 Asot Michael, officials within the Antigua and Barbuda Tourism Authority and Ministry of Tourism along with the principals of interCaribbean Airways. These arrangements have secured additional non-stop service to two of the region’s popular destinations from the V.C. Bird International Airport. This new Air Service will expand critical air services to the Northern Caribbean via the Dominican Republic. Beginning on December 10th 2015, interCaribbean Airways commences scheduled services from Antigua (ANU – VC Bird International Airport and Santo Domingo (SDQ Las Americas Airport) and Tortola (EIS Terrence B. Lettsome international Airport). “This new service will mark the 4th Inaugural Airline flight to the new VC. Bird International Airport. As we continue our efforts to attract new airlines to Antigua and Barbuda, the same day convenient connections that InterCaribbean Airways will afford us will significantly support our efforts in attracting visitors from other source markets such as Eastern Europe and Latin America. The twice weekly direct service with 30 seats per flight will be an added boost not just to our tourism industry, but will also be well received by the large community of our Caribbean brothers and sisters from the Dominican Republic who reside in Antigua”, states the Hon. Tourism Minister Asot Michael. Lyndon Gardiner, Chairman of interCaribbean Airways said, “We are pleased to enter the Eastern Caribbean Market with these new routes to give Antigua a new choice in travel in the Caribbean. Antigua is a destination of great appeal to holiday visitors and provides a new choice for business travelers. We look forward to serving the people of Antigua and Tortola with these new flights”. Seats are now on sale, and bookable immediately at interCaribbean.com, by calling our reservations centers, visiting our airport locations, or Customers may also visit their preferred travel agency. Service from interCaribbean Airways will later be expanded to Punta Cana and allow for same day connections with other European airlines such as Aeroflot from Russia that connect via this major hub in the Dominican Republic. This new air service with InterCaribbean Airways will further enhance the position of VC Bird International as a major hub in the Eastern Caribbean, with one -stop connections to the Bahamas, the Turks and Caicos Islands, Panama and Jamaica. This gives visitors and residents the opportunity to travel efficiently to these counties without having to transit the USA.